Dreamspinner Press, LLC, 9781627981750, 270pp. 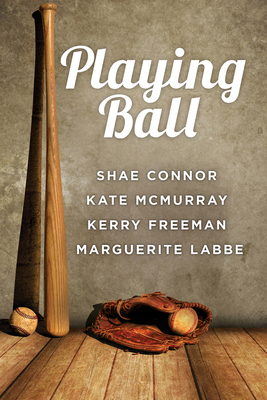 Baseball--America's favorite pastime--provides a field wide open for romance. A Home Field Advantage may not help when Toby must choose between the team he's loved all his life and the man he could love for the rest of it. In 1927, Skip hides his sexuality to protect his career until he meets One Man to Remember. Ruben and Alan fell victim to a Wild Pitch, leaving them struggling with heartache and guilt, and now they've met again. And on One Last Road Trip, Jake retires and leaves baseball behind, hoping to reconnect with Mikko and get a second chance at love.